It’s Okay To Sparkle » Avery Jackson Rocks! 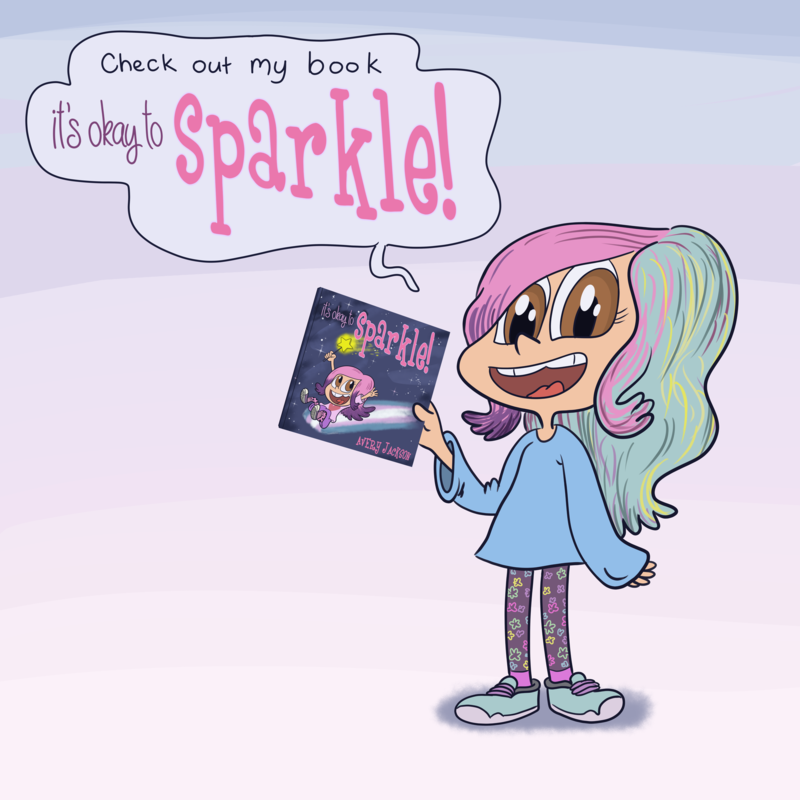 I have a new children’s book out called “It’s Okay To Sparkle.” I told my story when I was seven years old, and now you can read it for yourself. I talk about what it was like to tell my mom and dad that I am a girl and not the boy they thought I was. I hope that kids who read my book will learn what it means to be transgender, so that they won’t be afraid if they meet a transgender person like me. I also hope that if any other kids who are trans read it, they won’t feel so alone. 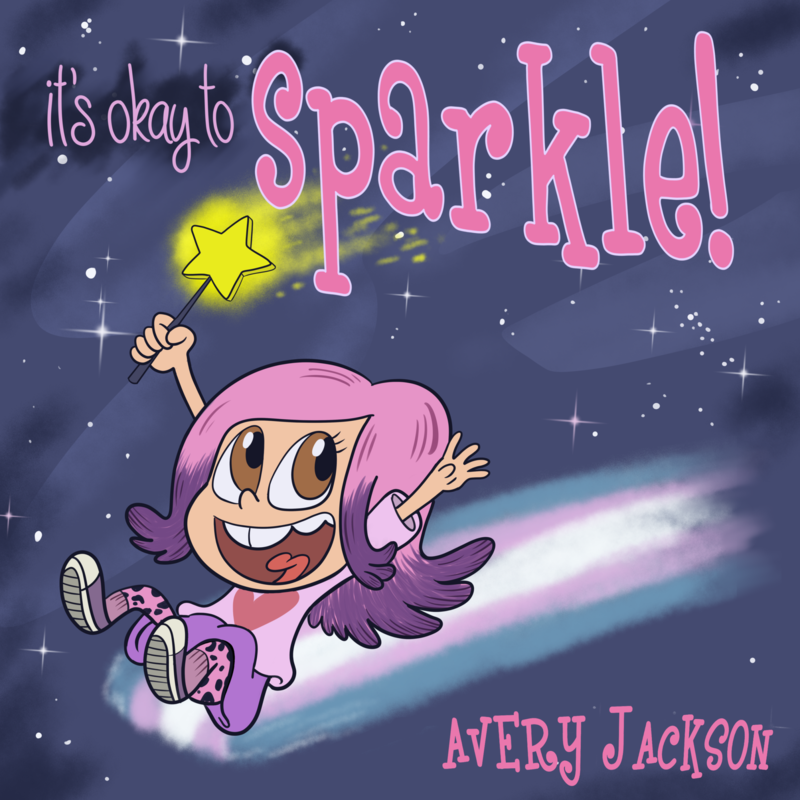 My book can help kids and grown-ups understand that a transgender boy or girl can be happy if they are allowed to be the person they know they are on the inside. My friend Jessica illustrated it for me. I love her style! It’s like I’m a cool comic book character now. My book was put on a cool list, too! It is part of the 2018 Rainbow Book List created by American Library Association. Oh, you want to get one for yourself or a special kid in your life? Ok! Just head over here. I've just written a book for kids!